Save up to 30%, why not try? 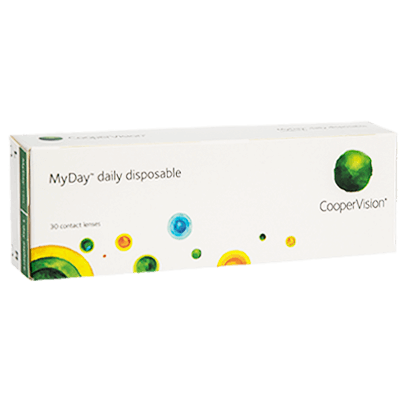 Everything you need for an exceptional overall daily disposable experience is here, CooperVision’s MyDay contact lenses deliver premium comfort for wearers with a modern busy lifestyle. Designed with exclusive Smart Silicone™ technology, these silicone hydrogel contact lenses boast being some of the softest lenses around. They allow more oxygen to reach the eye, making this a highly breathable lens that delivers long-lasting comfort, and offers clearer and whiter eyes. 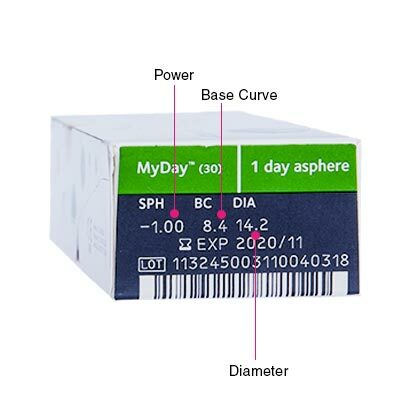 The structure of MyDay contacts incorporates an innovative design, with a smooth lens surface and rounded edge. This design gives contact lens wearers a more natural feeling, as your eyelids glide effortlessly over the lenses, for outstanding and seamless comfort throughout the day. These lenses help to promote long-term eye health, with built-in UV protection and the additional hygiene benefits of being daily disposable lenses. They are to be discarded after a day’s use and replaced with a fresh new set the next morning. Enjoy a unique level of comfort and clarity with our range of MyDay lenses, available for the cheapest price in Ireland at FeelGoodContacts.ie. comfi Pure 1 Day are similar contact lenses. I find these lenses much lighter and more comfortable than others I have used. Never had a problem. Can see which is a bonus no dry eyes even when in dry conditions. Would like them cheaper but expect everyone says that. 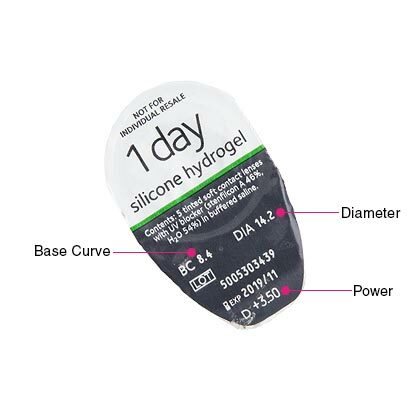 This product is very good quality and very easy to use. Would highly recommend. very happy with my lenses and very very quick delivery. Very comfortable good quality. I am happy with this product! MyDay''s are very comfortable and don''t dry out my eyes. Comfortable lenses which were just as good as the Specsavers own brand, just cheaper! Great Lenses and don''t dry out. I have tried a lot of daily disposable lenses over the years and found MyDay to be very comfortable. They are good for people with sensitive or dry eyes and I will definitely buy them again.